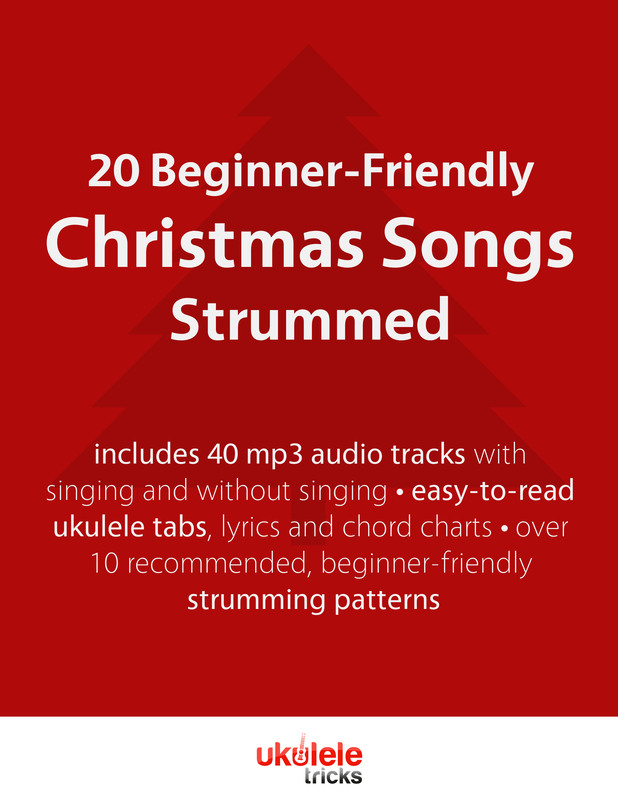 Now you can strum your favorite Christmas songs with your family and friends this year with ease and confidence! 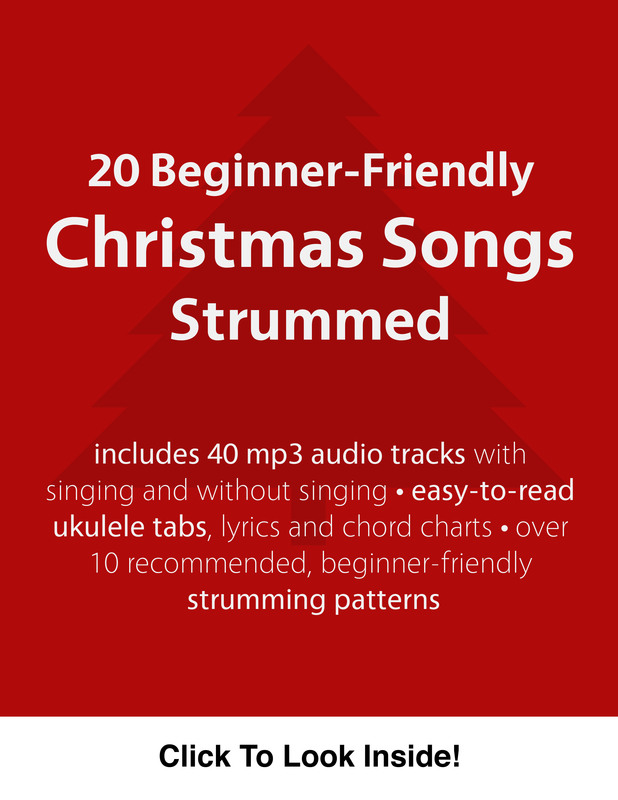 In the 20 Beginner-Friendly Christmas Songs Strummed songbook, we’ve simplified and arranged these well-loved songs to be perfect for beginners and those just picking up the ukulele for the first time this season. Yes, that means no songs with ugly E major chords. Not sure what strumming pattern to use? Not a problem. For every song, we include a recommended strumming pattern that will work for the song. There are over 10 suggested strumming patterns used throughout the songbook, meaning you are learning strumming while learning the songs. Again, these strumming patterns are beginner-friendly meaning no syncopation or funky strumming! Feel free to use your own strumming pattern if you’d like. All of the chords used in this songbook are presented on a one-page printable chord diagram sheet. It’s nice to have this sheet for reference and makes learning these songs easier.